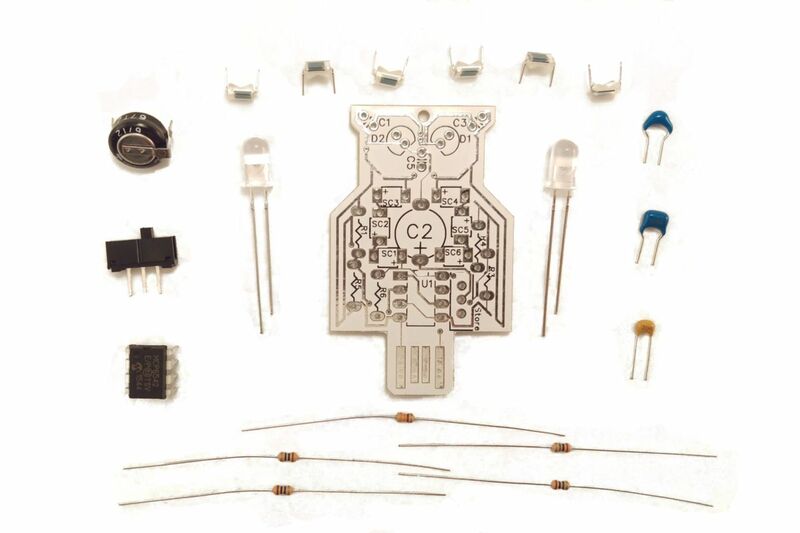 The Lumen Owl soldering kit gives students experience with soldering, LEDs, and solar panels. 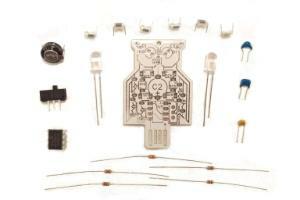 The Owl is a compact and attractive way for students to learn soldering. Basic instructions included, available with a white Owl shaped board. Once assembled the LEDs will charge either under solar power or using the standard sized USB tab on the bottom. Solar charge time is only 15 minutes in full sun, USB tab charge time is 2 minutes. Once charged the Amber LEDs will alternate and gradually dim over 3 hours. Does not include cord for hanging. Recommended tools: soldering iron, solder, and patience.